Based on the picture, the device seems to look like a camera, so I thought it would be a lot bigger than it was. This is more like the size of a soap. 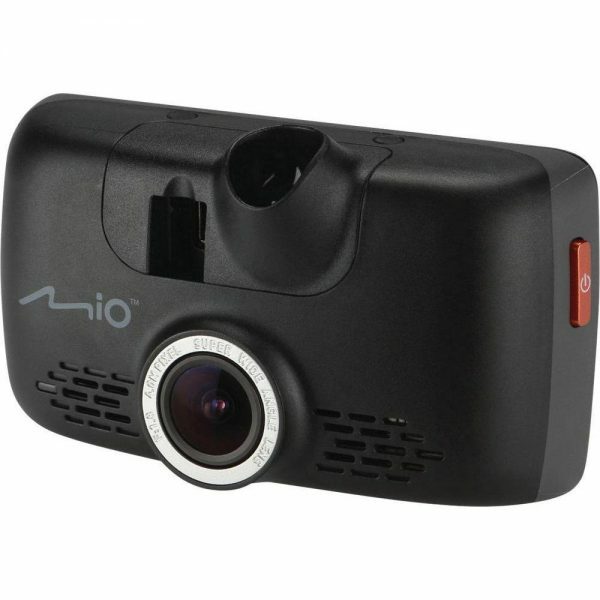 The front features the camera, the mini USB port, and the area to attach the car mount. You also have speakers at the front. The back features the touch screen, as well as an ‘action’ button on the right side. The system is set to automatically turn on as soon as you turn your car on, and for that reason, it is very important to have it plugged in constantly. While there is bit of a battery life in this, it is designed to run constantly on your car’s input. For this reason, some people will even go as far as hard wiring these to the inside of their car. Mio sell kits for that, and there are plenty of other options available too. I would note that this takes Mini USB, and not Micro USB as is more common these days. However, for some reason the sat nav and DashCam industry seem to be sticking to those older port designs. Anyway, to set this up, the first thing to remember is that you will need a micro SD card, as this has no internal memory. If you didn’t get one when you bought this, you probably need to stop now and go get one.That can then be inserted into the micro SD card slot in the bottom. After that, you can attach it to your dash mount, and like any other car mounting system, use the suction system to attach it to your windscreen. You can use alternative methods as well, but this is the most straight forward one. Once installed, plug the cable in, and connect it to the 12V source in your car, and you should be good to go. This is where you may notice that the cable input is directly above the camera, and depending on your wire configuration, it may or may not be in front of your video. You may need to adjust the wire accordingly. It would have been good to have the input power coming in from one of the other sides, but as long as you are aware, you can deal with this. Now, as soon as you start your car, you should be good to go. As far as daily usage goes, it is quite simple. You turn your car on, and as soon as it notices your car powering up or you moving, it starts to record. The video quality is higher than standard HD, and thanks to the wide angle, you capture quite a good video. If the system detects sudden movement (like a hit) or sudden braking, it will automatically record that as an event. An ‘event’ is treated differently to a standard video, which is re-written as soon as the memory is full. On top of these features, you can use the touch screen to take photos in the case of an event (or if you feel like it, in case of beautiful sceneries), or configure the device to adjust and select various features. These include enabling Parking mode, which allows you to record when parked, or selecting what information you display on your screen while recording. This could be date, time, or even custom text such as title of a trip you’re making or your car reg number. After that, you can either view the videos and images from within the device, or use Mio MiVue Manager to access videos and look at them in more detail. Why WiFi then? Well, no, it doesn’t come with a cloud connect feature which automatically uploads videos. Instead, it allows you to connect to your smartphone and let you view and transfer videos to it directly. This means that you are not restricted by the slow Bluetooth speeds, and have the ability to use WiFi. The app can then let you view videos as well, and acts as an alternative to the MiVue Manager software. The video quality on the device is surprisingly good. It records things in a slight fish eye kind of fashion, but it captures great quality, and you can easily identify road signs as well as vehicle reg numbers when you play back. More information on this can be found on the Mio website. It retails for around £150, and can be bought from various online retailers including Amazon. The need for dash cams has already been discussed enough, so let’s just focus on what this offers. 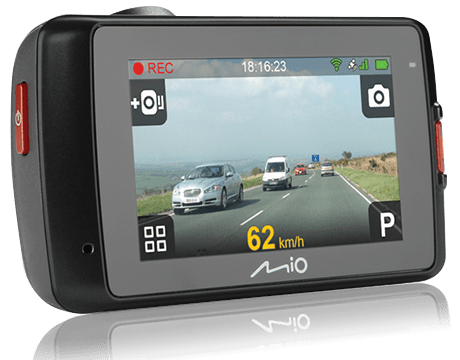 This feature rich device gives you amazing video quality, and the little features such as speed awareness as well as speed camera warnings add an icing to the cake. If you are interested in such a device, this one comes with high recommendation. Previous story Review: Cambridge Audio Air 200 – Feel the bass!